FlashTouch is a new technology that enables data communication between touchscreen-based mobile devices and digital peripheral devices. Touchscreen can be used as communication media using visible light and capacitive touch. In this paper, we designed a stylus prototype to describe the concept of FlashTouch. 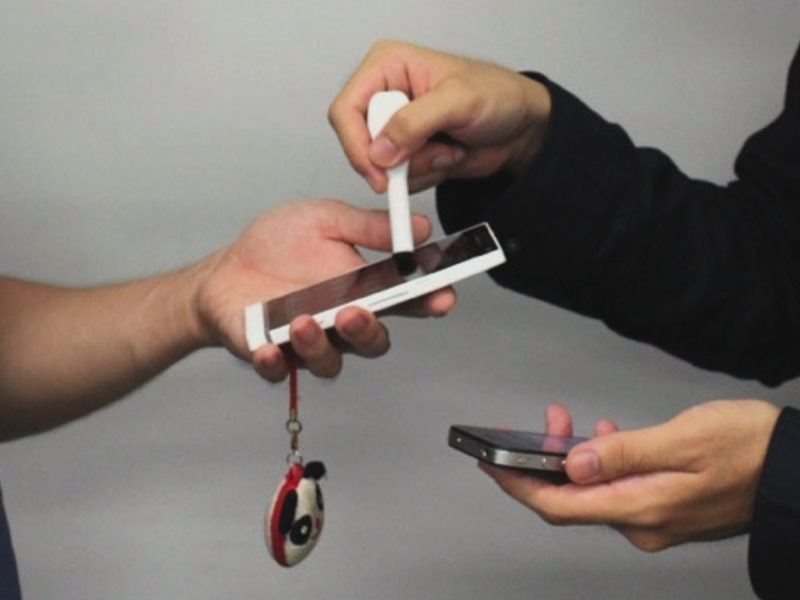 With this prototype, users can easily transfer data from one mobile device to another. It eliminates the complexity associated with data sharing among mobile users, which is currently achieved by online data sharing services or wireless connections for data sharing that need a pairing operation to establish connections between devices. Therefore, it can prove to be of particular significance to people who are not adept at current software services and hardware functions. Finally, we demonstrate the valuable applications in online settlements via mobile device, and data communication for mobile robots.